The Scripture admonishes us to stay the course, fact that you will hear said, preached and taught over and over. 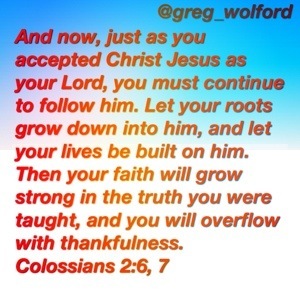 But The Word of God also exhorts us to continually grow in our knowledge and faith, something we hear much less. As an old preacher. I know says, “Just keep on keepin’ on!”.